Our noses have left and right nostrils. Are these nostrils having the same function for inhaling/”breathe- in” and exhaling/”breathe- out”?. Actually it’s not the same and we can feel the difference. Accordingly, the right side represents the sun/”heat” and the left side represents the moon/”cold”.. When having headache, try to close your right nostril and use your left nostril to do breathing for about 5 min. The headache will be gone. If you feel too tired, do it the opposite way. Close your left nostril and breathe through your right nostril. After a while, you will feel refresh again. Because the right side belongs to heat, so it gets hot easily. The left side gets cold easily. Women breathe mainly with their left nostril, so they get calm down easily. Men breathe mostly with their right nostril, so they get angry easily. When we wake up, do we notice which nostril breathes faster? Is it the left side or the right side ? If the left nostril breathes faster, you will feel very tired. 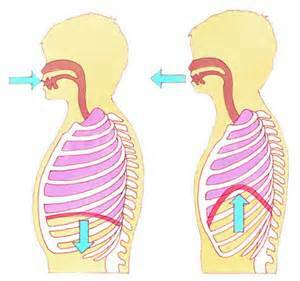 Close your left nostril and use your right nostril for breathing and you will get refresh quickly. This entry was posted in Alternative Therapy, Natural Healing, Uncategorized and tagged Alternative Medicine, Alternative Therapy by saatjais. Bookmark the permalink.